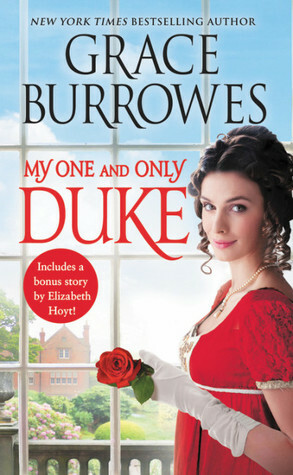 My One and Only Duke by Grace Burrowes is a 2018 Forever Romance publication. Quinn is in prison for a crime he did not commit. Jane, a minister’s daughter, visits him shortly before his execution date. From these visits Quinn learns that Jane is widowed, pregnant with her first child, and is under her father’s manipulative power. With nothing left to lose, Quinn offers to marry Jane, giving her independence, and the financial freedom to provide for her child. Seizing the opportunity, Jane agrees to the marriage. But, literally, at the very last minute, Quinn is saved from the gallows. He is immediately informed that he is the lost long heir to a dukedom! His good fortune also means he and Jane must now live together as husband and wife. No matter how awkward it is, the couple has no choice but to make the best of the situation. However, before they can earnestly begin a life together, Quinn must discover who is out to destroy him, while protecting his family, which now includes Jane and her unborn child. What a wonderful blend of mystery and romance! I love a mystery with intrigue, especially in a historical setting. This story has plenty of that, but intrigue shouldn’t be compared with other forms of mystery, because the pacing is usually slower, and the plot may take a little longer to develop. However, this one did move a little too slow at times, and the wrap up was a little frenetic. Still, the plot was still pretty smart and challenging, which is what I liked about it the most. The romance also takes its time to develop, but I thought that made much more sense because, although this couple may have had a bit of chemistry working for them while Quinn was in prison, they were both stunned by Quinn’s last- minute reprieve. While Quinn’ feelings deepen for Jane each day, his mind is preoccupied, leaving it to Jane to gently prod the relationship forward. After thinking about it, I think the slow burn was more realistic, although I do admit I did get frustrated with Quinn’s reticence, at times. Jane’s bravery in facing her ‘new normal’ is admirable, as is her support of Quinn. The one area of weakness for Jane is the relationship she endures with her father, who continues to interfere in her life. With her new circumstances and the inner -strength she acquires, her character develops in the most wonderful of ways. Overall, this variant on the rags to riches theme does move at a leisurely pace, but is an evenly balanced combination of an intriguing suspense and a tender love story. 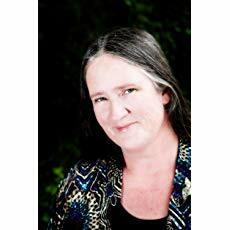 I don’t know how I managed to lose track of Grace Burrowes over the past couple of years, but it has been a great pleasure to reconnect with her again. *This version of the book also includes ‘Once Upon a Christmas Eve’ a novella by Elizabeth Hoyt.